A tram on the Edinburgh tram network passing through Prince Street. Credit: Pete Spiro/Shutterstock. 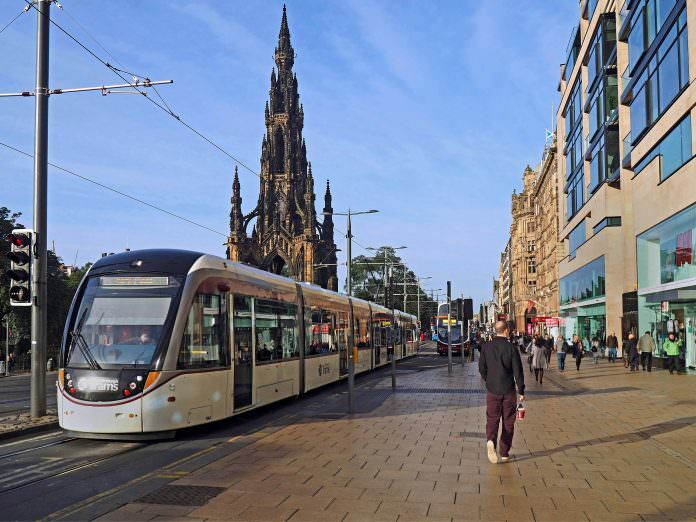 Edinburgh council is to consider extending the city’s tram network, with the proposed line forecast to be operational by 2022 if it gets the green light. Under plans, line 1A would be taken from its tram terminus at York Place to Newhaven – as was originally intended – for an estimated cost of £165.2 million. A report will be compiled outlining the case and seeking approval in principle for the Outline Business Case and authority to enter into a procurement exercise to identify a potential contractor for the work. This report will be considered by the Transport and Environment Committee on September 4 and then by Council on September 21. A final decision on whether to proceed will be made in autumn 2018. 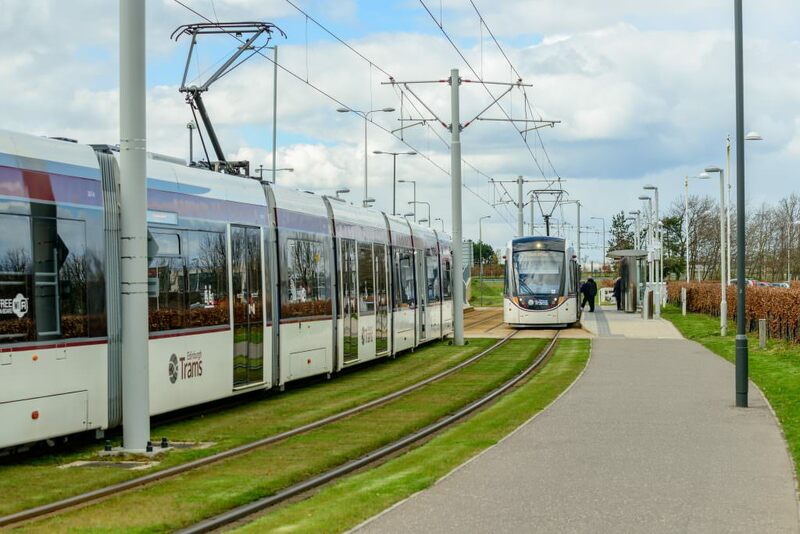 Two Edinburgh tramcars at Gyle Centre station to the west of the city. Credit: Cornfield/Shutterstock. Edinburgh council said that should the project get approval, construction will take around three years and that passengers could see the service launch in 2022. Transport convener councillor Lesley Macinnes added: “The Outline Business Case demonstrates good early performance for the tram, with patronage expected to double in the first year. The Scottish capital’s tram network has 16 stations and was launched in May 2014.